I truly believe that the Midwest is rich soil for the Internet of Things. For any young industry, an ecosystem that fosters growth and sustainability is crucial. And we have that right here. The nexus of Manufacturing in the 20th Century was in the Midwest. Whether it be Steel in Youngstown, Glass in Toledo, RVs in Indiana, Tires in Akron, or Automobiles in Detroit, those industries thrived. As did the companies that served those companies, and on down the line. With the rusting of the rust belt at the end of the 20th century- some companies did leave, yes. The companies that served those major manufacturs were forced to survive without their bread and butter being located next door. 100s of technology and engineering services companies relied on new customers that had now moved across the country, or oceans away. Decades of industrial experience, design, automation and even chemistry genius could only be bought from the US home of industry – the Midwest. Some of the brain trust left, but many stayed. The Beautiful thing is, the core of our the Midwest technology prowess survived. An acquaintance of mine told me the story of Tim Fisher. Tim worked at Good Year Tire and Rubber in the 20th century. He developed an incredible knowledge base for the rubber calendering process. He then started his own company helping clients around the corner and around the world by improving their processes, selling control systems, sensors and monitoring technologies. For 25 years Tim has trained countless engineers on the integration of rubber and plastic manufacturing processes. My first employer was Khyber Technologies, a small hand held computer design company here in Ohio. This company was an off shoot of an inventory control company (Telxon) that worked with manufacturers across the Midwest in developing technology that cataloged and controlled inventory. Khyber and its sister companies blossomed and BROUGHT talent into North East Ohio. Cisco Wireless would not have an office in Richfield, OH without Telxon. The Rust Belt didn’t leave the Midwest high and dry, it left it fertile for technology companies. The people, training, schools and experience left a critical core that through the last decade encouraged some manufacturing to come back to the Midwest, and other side industries to find new ways to survive and flourish- without nearby industrial clients. The returning manufacturing sector aside, the Midwest boasts other established industries. Industries that Are or Will see the benefits of the Internet of Things in the next 5 years. Healthcare and Pharmaceutical companies call the Midwest Home Eli Lilly in Indianapolis, the Cleveland Clinic in Cleveland, Covidien in Cincinnati, Cardinal Health in Columbus and Hill-Rom in Chicago. Transportation still reigns king across the region- CSX and Norfolk Southern thrive in Western Pennsylvania, Detroit still makes Ford and GM cars, Marysville Ohio makes cares with foreign name plates, and 1000s of suppliers manufacture the parts and materials that make those vehicles safe to drive. The Financial Centers across the Region still fund amazing projects both public and private. The IoT revolution for the living room may be argued about in board rooms in Silicon Valley, but the first round of IoT customers are and will be in the Midwest, supported by the technology brain trust that never left. 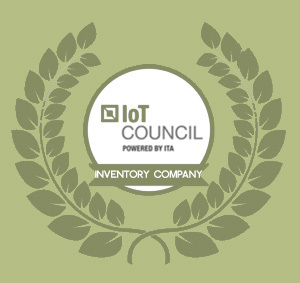 Speaking of the brain trust, I am pleased to announce that Hallsten Innovations was included in the ITA’s Midwest IoT Inventory Report (press release). A Proud member of the Illinois Technology Association (born and bread in Chicago people!) This Who’s Who listing is a growing list of players in our region that have a stake in IoT development. It’s Not Just Me Rooting for the Home Team…. Esha Chhabra shared an interview she had with Mister Ray Leach of JumpStart on Forbes.com. Mister Leach invests Capital in tech startups and calls out his successes in Ohio because of company leadership, lower cost of living, and the various seed bed characteristics I’ve listed above. He’s committed to seeing 10,000 new jobs derived in Ohio just from companies JumpStart has invested in. All of this is proof that something is happening here in the epicenter of America’s industrial and manufacturing past. And future. Chicago has always been a city of things. We make things. We build things. We do things. Perhaps, nowhere else other than Chicago and the entire Midwest could become the epicenter of Internet of Things. You see, IoT isn’t about development, it’s about implementation. I founded Hallsten Innovations in Barberton, Ohio. I am surrounded by builders, makers, and doers like myself. I am surrounded by my client base – manufacturers and service companies that are turning to IoT to solve problems and improve efficiencies. This is a good place to grow. For those of us already here – you already knew that.